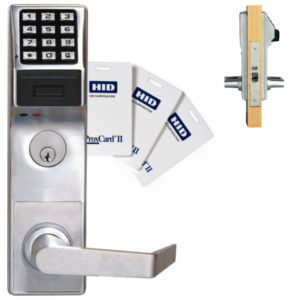 Seattle Locksmith Security proudly offers a vast array of commercial locksmith services for all your business needs. After years in the business we realized that all the locksmith shops in Seattle were closed on the weekends so we decided to open a fully equipped locksmith shop that is open seven days a week 9AM – 6 PM. Being available and open all week long is vital to servicing the needs of Seattle businesses. Our locksmith shop has the latest and most advanced key cutting and cloning machines on the market. Seattle Locksmith Security also offers commercial locksmith services that come you. Our commercial locksmith mobile service is available seven days a week from 7AM – Midnight. We help businesses all over Seattle no matter the issue. Normally we can dispatch a licensed locksmith professional to your business within sixty minutes. Call us now at (206) 823-2288. Commercial locksmith services are completed by trained locksmith professionals who have years of experience with helping businesses of all sizes in the Seattle area. Our team of professionals are licensed, bonded, and insured. We also offer a guarantee on all the hardware we install. Feel free to stop by our shop located at 3214 Rainier Ave S, Seattle, WA 98144 we would be happy to help with all of your commercial locksmith needs. We have been in business since 2010 and love our customers.